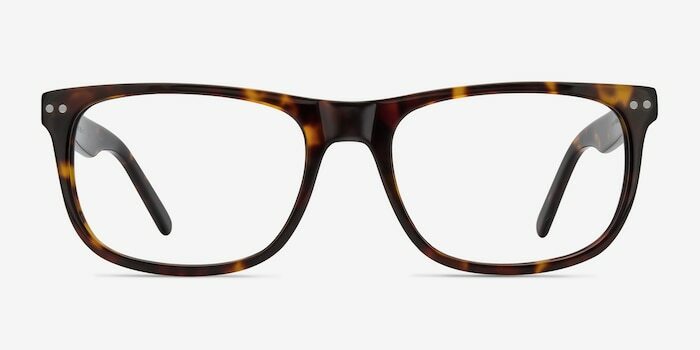 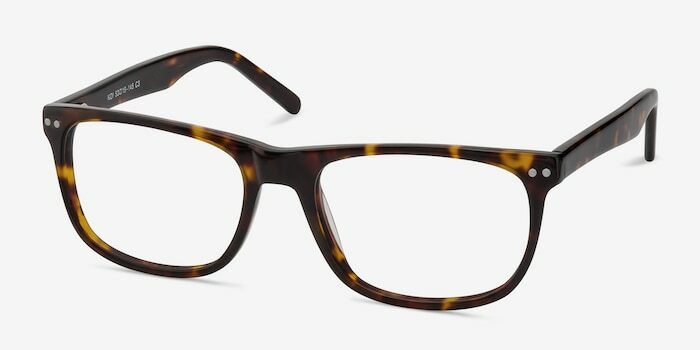 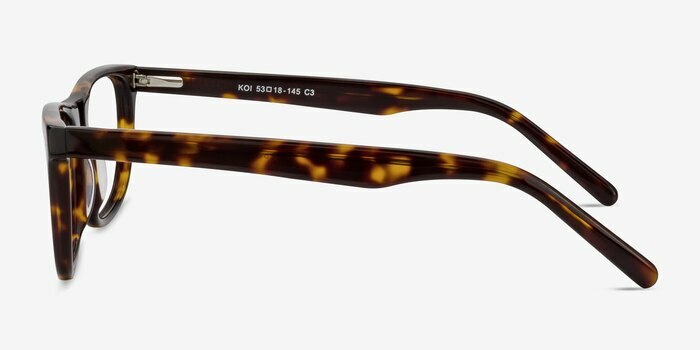 A classic, black acetate frame. 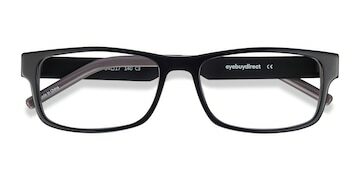 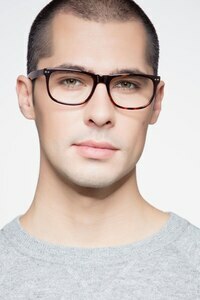 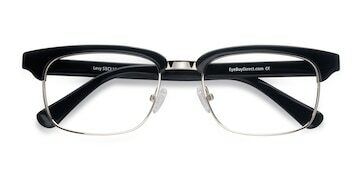 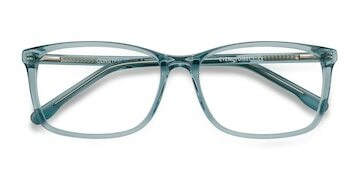 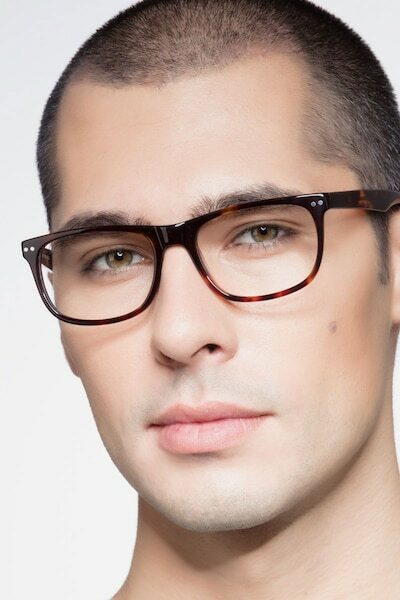 These eyeglasses feature double accent studs on the temples and a saddle nose bridge. 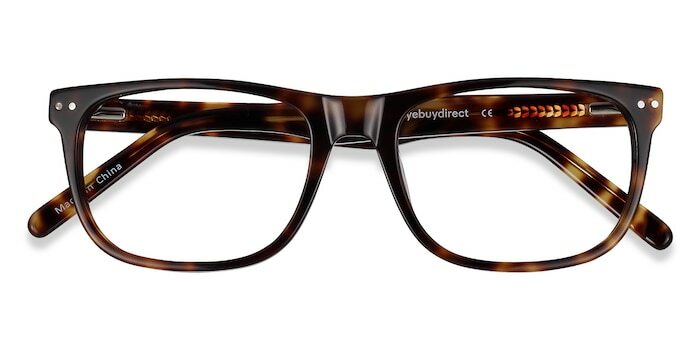 Simple design details take these specs from basic to cool. This style is perfect for anyone looking to add an essential standard to their repertoire.